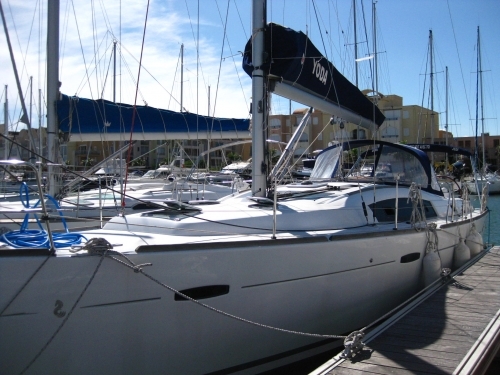 Beautiful sailing ship 43 feet, monohull, french shipyard :BENETEAU- OCEANIS, year 2007.
sold with all equipment for diving (Mares) and living on board. Equiped for round the world : 2 solar panels, 1 wind turbine, 400 liters waters, 250 liters fuel. All the boat has his auning. Life in board possible, ideal for couple. I can send others pictures on your email box il you are interested.